You will be hard-pressed to find a downside to living in Hawaii. The Aloha state sports an average climate of 85-90 degrees in the summer months and 75-80 degrees in the winter months. You can enjoy everything this island paradise has to offer all year long. Hawaii is a dream location for ocean sports enthusiasts as it is home to some of the best surfing in the world. When you aren't catching waves or soaking in sun you can explore the vast variety of local wildlife at some of the best snorkeling locations on the planet. Living in Hawaii makes you live a more active life, even if you didn't plan on it. After all, how could you resist habitual hikes through paradise? You can visit a volcano one day and check out Honolulu's black sand beaches the next. Hawaii consists of 6 major inhabited islands: Hawai'i - " The Big Island", Maui- "The Valley Isle", O'ahu- "The Gathering Place", Kaua'i- "The Garden Isle", Moloka'i- "The Friendly Isle", and Lana'i- "The Pineapple Isle". Each Island has something which makes living there unique. Hawai'i is the biggest populated island in the group. It is home to breathtaking botannical gardens and a rainforest zoo in Hilo, the most populated city. It is also home to the biggest waterfalls in Hawaii. Maui is the island of choice for the those who love water sports. The north side of Maui is home to some of the best surfing, windsurfing, and kitesurfing the islands have to offer. Agriculture and tourism are the 2 main industries of employment on this island. O'ahu is home to the world famous Waikiki beach, as well as a number of other beautiful beaches. Or maybe you prefer Kaua'i, a great choice for any nature enthusiast due to its pristine state parks. 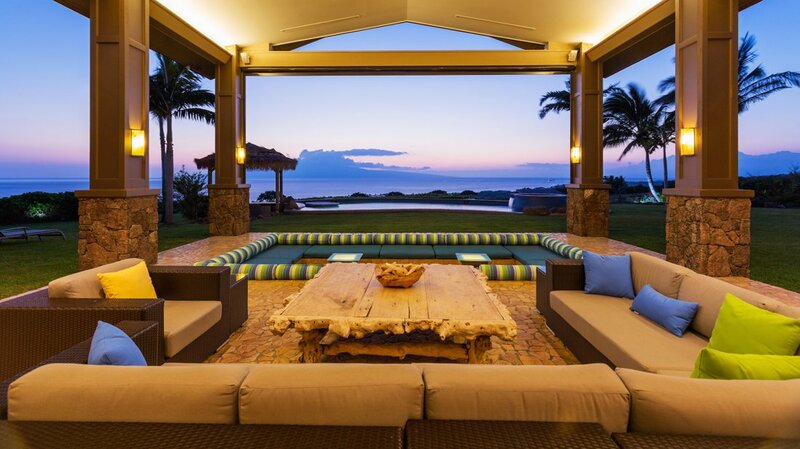 Mokoka'i and Lana'i are the two least populated of Hawaii's main islands and are great options for those who prefer more property with more privacy. Whatever island you choose, it's safe to say you won't be disappointed with living in paradise.